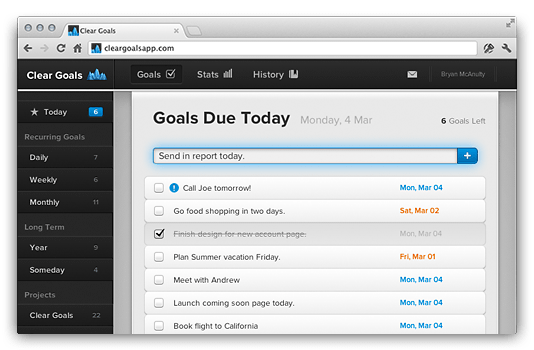 Clear Goals helps you turn your goals into reality. 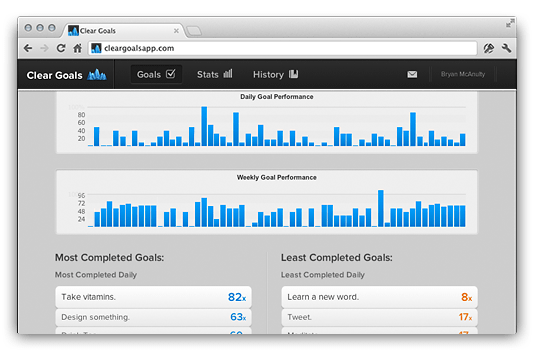 Clear Goals tracks recurring goals. 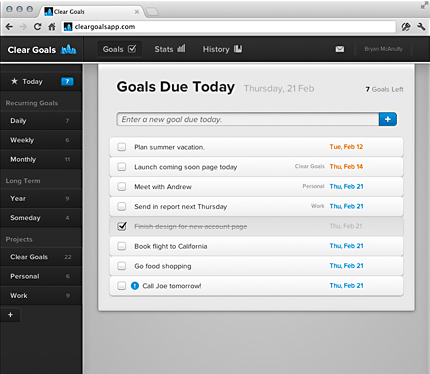 Most people have a number of goals or tasks they want to complete each day, week, month and by the end of the year. 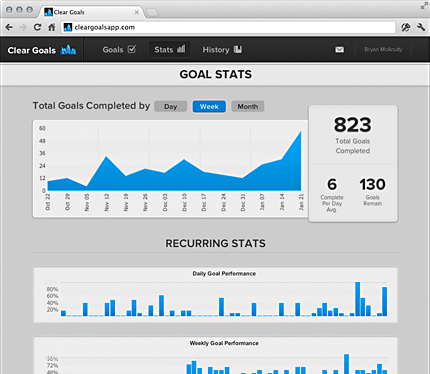 See analytics on goals you have completed and learn where you need to improve. Sign up in seconds. No credit card required. 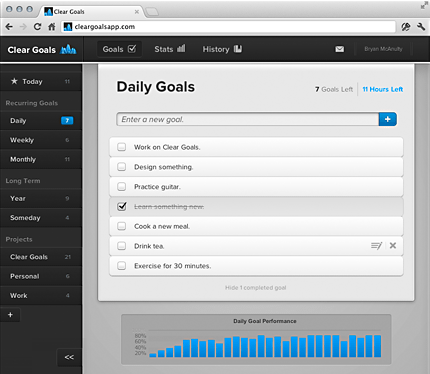 At the beginning of each day, your daily goals are unchecked and ready to be completed again. Focus on what you want to acheive daily, weekly, for the month and for the year. ClearGoals works on modern web browsers for Mac, PC, tablets and soon on your smartphone. & Get Into a Routine. Write due dates how you think them. 30-day free trial with all features. Copyright © 2013-2019 Velora Studios, LLC. All rights reserved. More new features coming often!